I am in Belfast to write about what outsiders – but few locals – call the Peace Lines. Belfast is the eighth and last stop on my ‘walls journey.’ Most of the other walls I’ve visited have yawned across international borders, disputed or otherwise, and often tracked for hundreds of kilometres at a time. In Belfast, though the ‘interface walls’ run for a few streets at a time. Or span the width of a single avenue. They slice through the city, dividing Catholics from Protestants, like a network of surgical incisions. Even the web of barricades in East Jerusalem are not this intricate. Nowhere else do the walls cut so intimately as they do here. In a way, Belfast is the natural conclusion to my travels. I’ve gone from the agoraphobic vastness of the sand berm in the Sahara Desert to Belfast’s snug barricades. 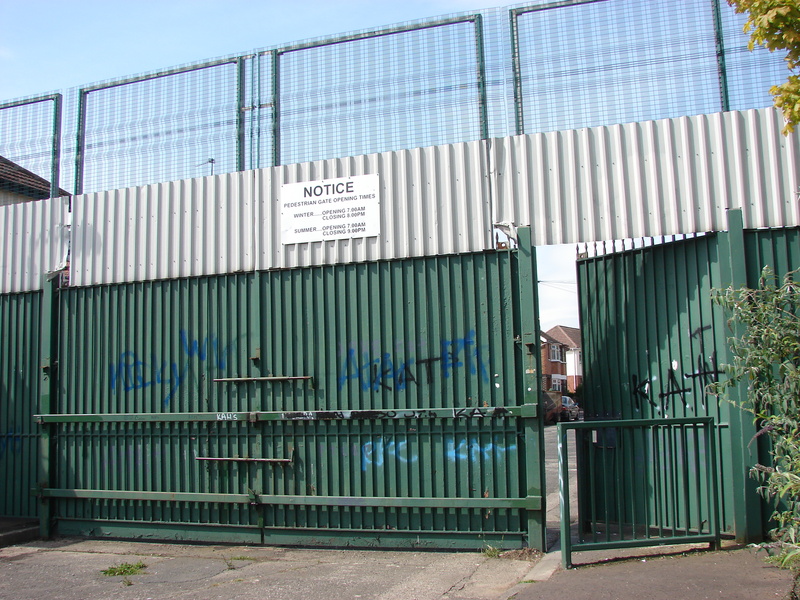 The Belfast walls are meant to protect the residents of one community from attacks from the other. Or they are meant to delineate and claim territory. Or both. And to some extent they succeed at these aims. It takes a strong arm to hurl a bottle or brick over the tallest of the walls. Though some manage. I spoke to an elderly couple who live up against on barrier who still hear the occasional object rattle onto their roof in the middle of the night. Like most people I speak to, this couple both hates the wall and is thankful for it. They are old enough to remember a time before the walls, however, when Catholics and Protestants managed to coexist in the same neighborhoods. Young people here do not have such memories, and many of them want to see the walls grow higher. The ‘Peace Lines’ might allow for some peace of mind but no actual peace. 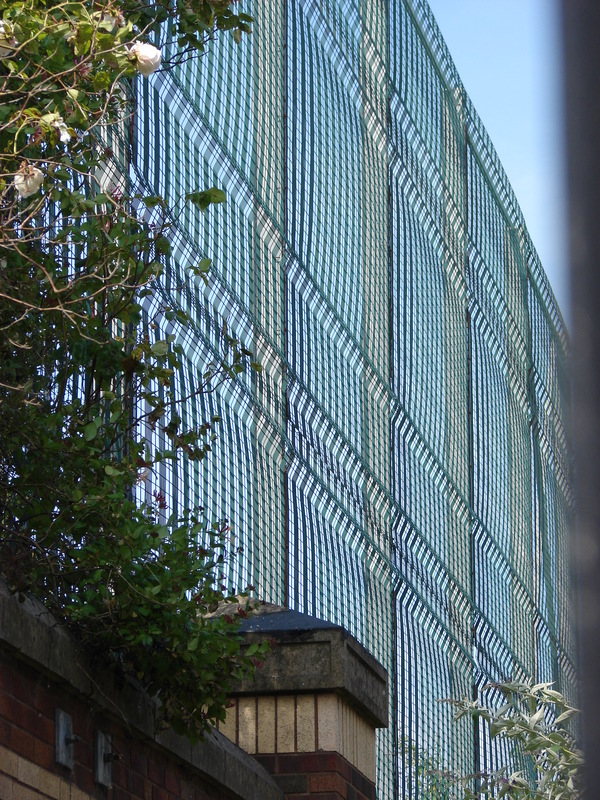 If the walls succeed in protecting against attacks, they simultaneously ensure that residents of both communities never look at each other face-to-face. The walls are a ‘solution’ that entrenches the problem. 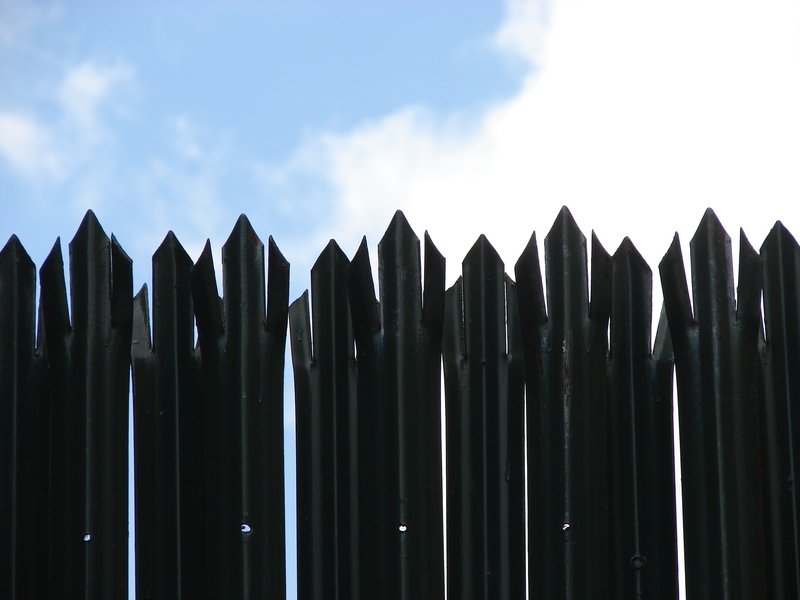 The barriers make impossible the sort of engagement needed to eventually bring them down. There are people working to change this, men and women from both communities who, though hardly neutral in their ideology, work in tandem for what is termed here a ‘shared future.’ I’ve had a chance to meet some of them and find their work inspiring. That said, the height of this year’s marching season reaches its nadir tonight and tomorrow, and the prelude has already brought violence. The last few days have seen riots, cars hijacked and torched, police attacked, windows smashed and homes shot at. A summer sky filled with bricks and bottles – with stones, slurs and smoke – offers little reason for hope.